Michael Boushra is a talented professional with extensive knowledge and experience in the field of Learning, Development and Sales Force Effectiveness. He has worked in five top ten multinational pharmaceutical companies and, throughout his career, has led many change initiatives that enhance organizational culture, improved the learning methods and had positive impact on the bottom line. He has designed and implemented more than one training curriculum for different roles based on competency / capability profile and has designed & conducted many assessment centers for development and recruitment. Michael has facilitated training workshops to more than 1000 employees with consistent positive feedback from the attendees and from the business. 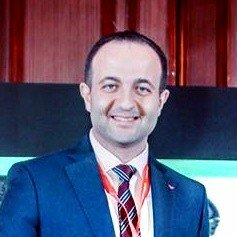 Currently head of the training function in the Near East region for AstraZeneca, he leads and manages a team of sales trainers and data analysts; developing and managing a comprehensive induction-training program for new hires; developing and managing a 4-year training curriculum.